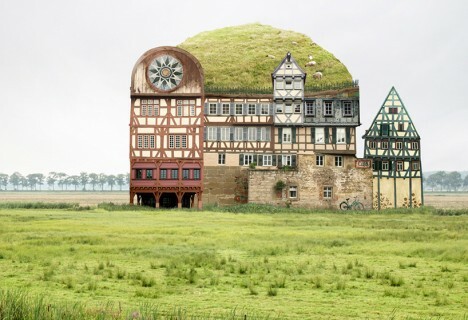 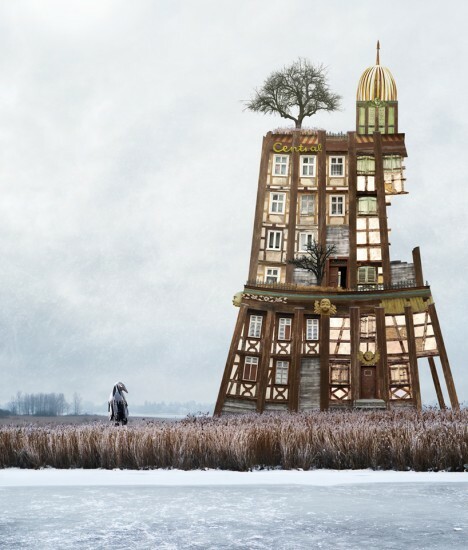 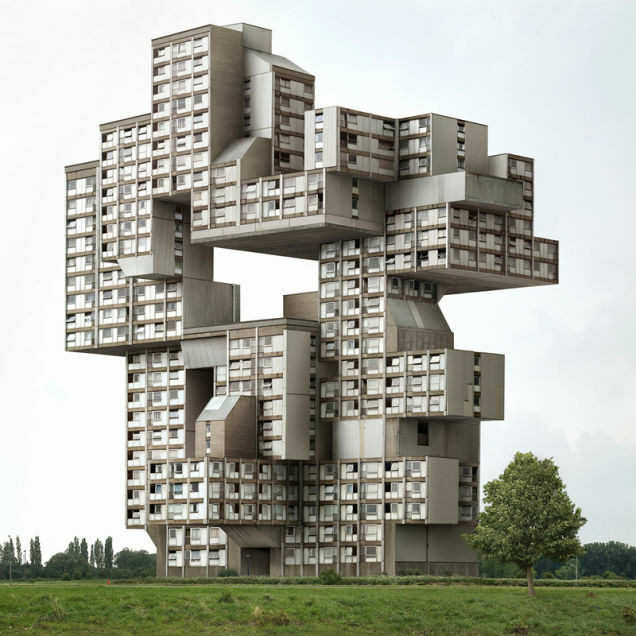 Unbound by gravity, the need for structural soundness or any sense of real-world aesthetics, architecture becomes like a life form of its own, multiplying and mutating in strange and unsettling ways. 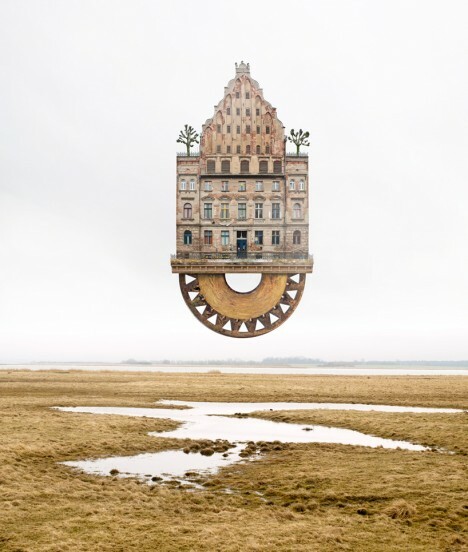 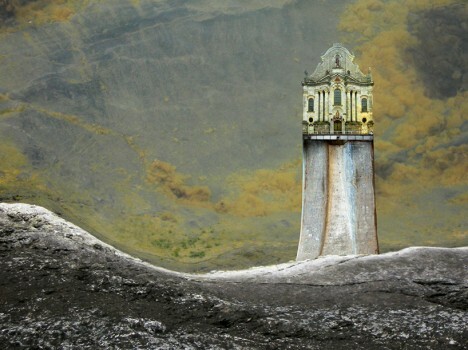 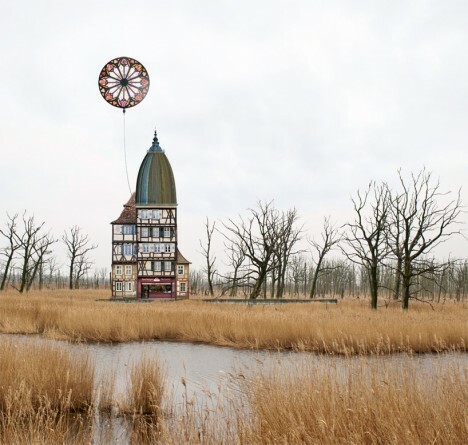 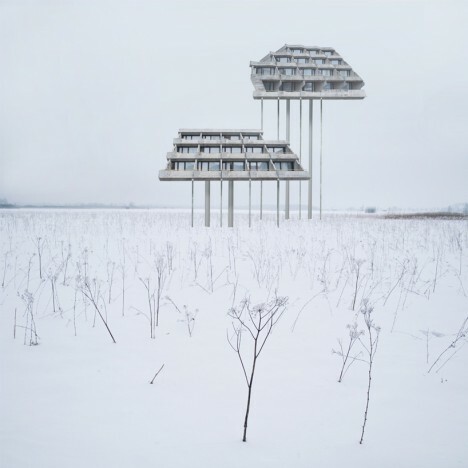 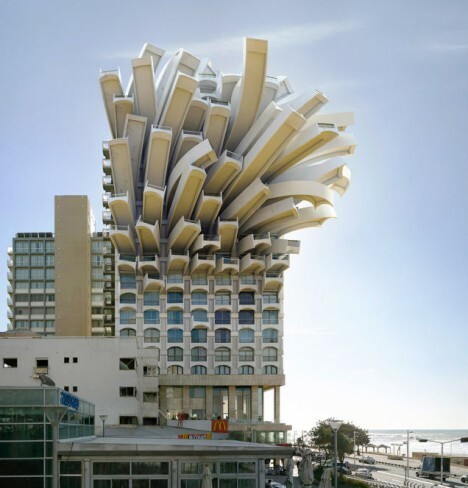 These fictional architectural assemblages explore unlikely configurations that are only possible with digital art and photo manipulation. 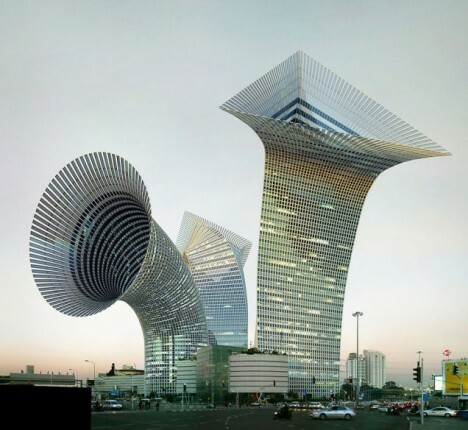 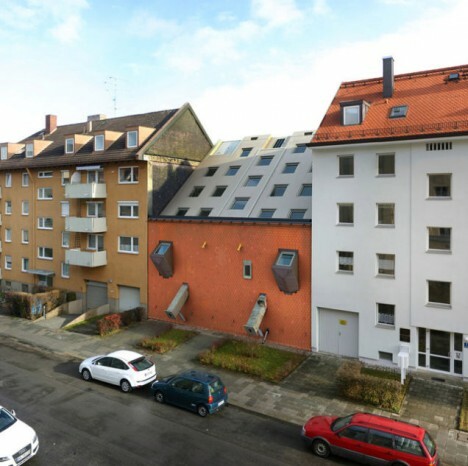 Victor Enrich’s ‘architecture gone wild‘ twists, bends and turns, splitting down the middle as if the buildings are being unzipped or seeming to disassemble before our eyes. 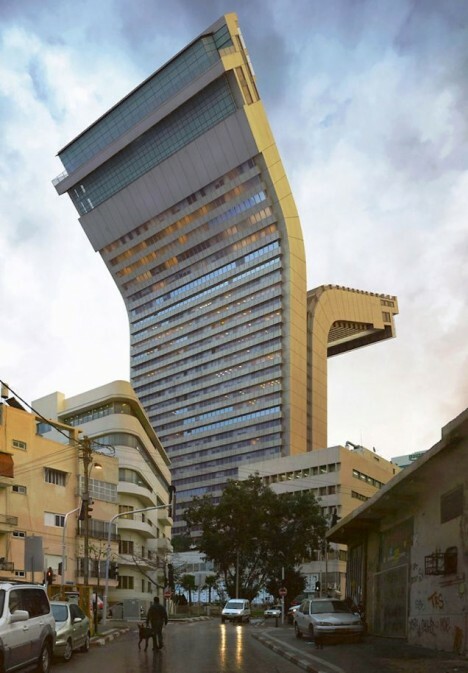 Balconies become giant slides leading down to the street, staircases meander off into the sky and individual apartments stretch out of their building toward the sun like leaves on a plant. 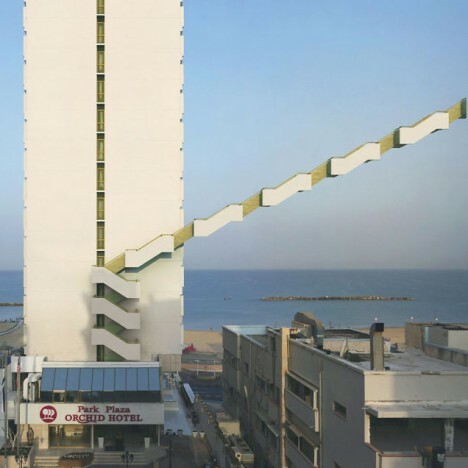 The Barcelona-born designer travels the world and takes photographs of cities, digitally manipulating them for results that would generally be impossible in the real world. 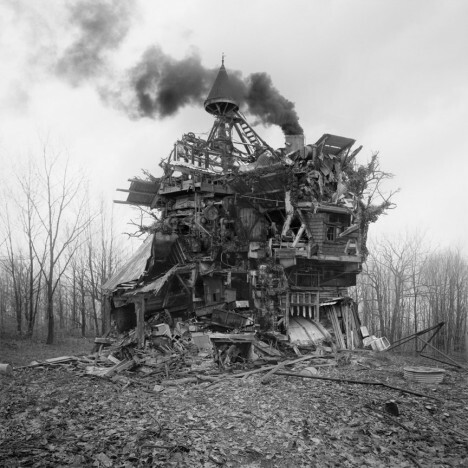 Shadowy passages and strange interiors from horror films like The Shining and the fiction of H.P. 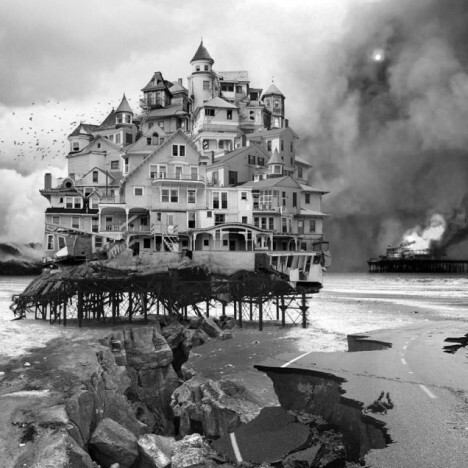 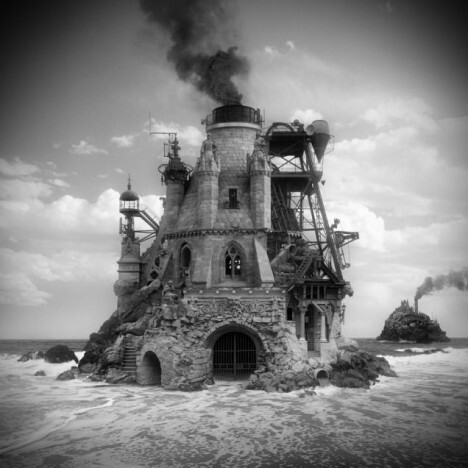 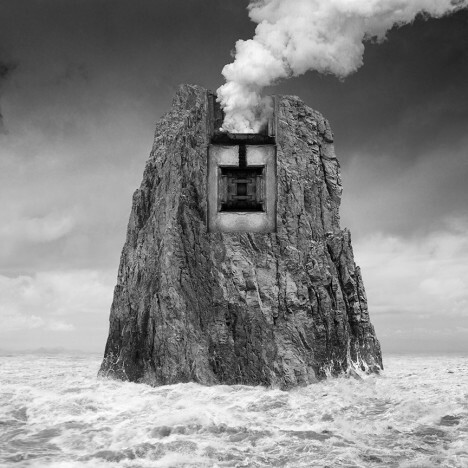 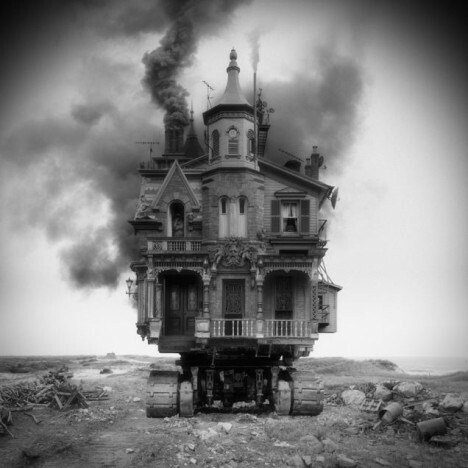 Lovecraft tinge the disorienting and disquieting work of Portland-based photographer Jim Kazanjian, who’s inspired by “our inherent anxieties about isolation and vulnerability.” Kazanjian draws on his experience as a CGI artist working on games to create these ‘hyper-collages,’ cobbling together images of buildings, sinkholes and foggy landscapes from an archive of over 30,000 photos.